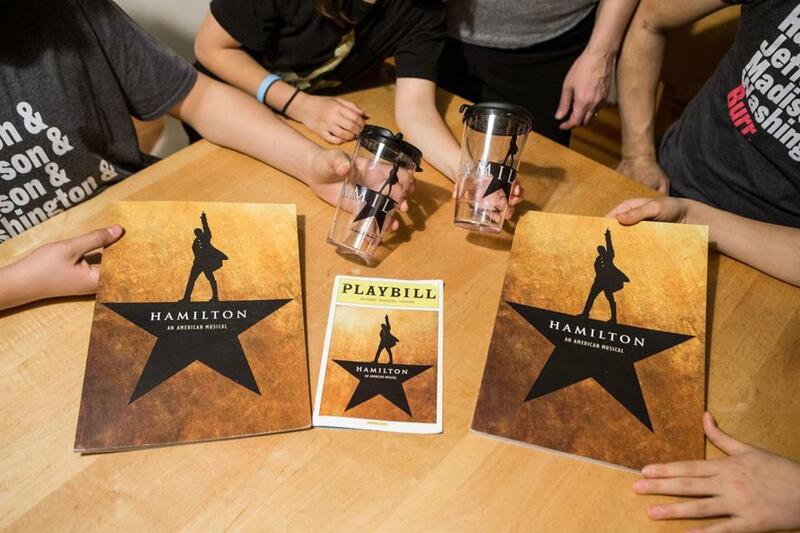 “Hamilton” memorabilia shown in a 2016 file photo. A library in Lincoln is raffling off a pair of tickets to the upcoming Boston production of the hit musical to help raise money for a damaged library in Puerto Rico. A library in Lincoln is seeking to lend a hand to a library in Loiza, Puerto Rico, which suffered substantial damage during Hurricane Maria last September. Julie Brogan, a member of the board of directors of the Friends of the Lincoln Library, thought a great way to raise money for the Loiza library would be to raffle off a pair of tickets to “Hamilton,” which runs from Sept. 18 through Nov. 18 at the Boston Opera House. “Everyone said, ‘just get someone to buy the tickets,’” Brogan said. “And I said, ‘no I don’t want to do that. I’m going to write to Lin-Manuel Miranda,’” the creator of “Hamilton. Brogan was soon contacted by the office of Luis Miranda Jr., Lin-Manuel’s father and founder of the Hispanic Federation, an organization that has raised millions for the island following Maria’s devastation. He put Brogan in contact with the mayor of Loiza, gave the Lincoln organizers a pair of center orchestra tickets to “Hamilton,” and promised to match donations up to $20,000. The hope is to sell 1,000 raffle tickets, raising at least $50,000 for repairs to the facility (in addition to the matching funds). Raffle tickets are $50 each and can be purchased online until Sept. 7.